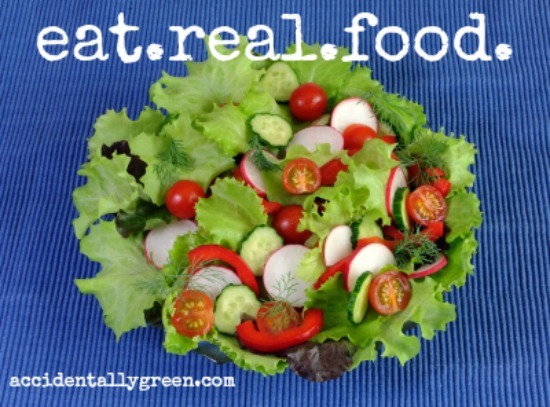 Real food is food in its most natural state. Think of actual meat, dairy products, fruits, and vegetables. If you could grow something in your garden, it’s real food. If you could raise something to later eat, it’s real food. Real food doesn’t typically come in plastic pouches or boxes. You can’t just add water and microwave some powdery concoction to produce real food. Real food is made from God – or with a very few ingredients made from God. For example, butter’s considered real food even though it’s manmade. Margarine or buttery “spreads” are not. If in doubt, check the ingredients label. If there are, at the max, only a few ingredients, it’s most likely real food. Take peanut butter as another example. If you look at the ingredients of a container of real peanut butter – or if you choose to make your own – the sole ingredient is peanuts. Yet a container of “100% Natural” jar of Peter Pan Peanut Butter contains roasted peanuts, sugar, honey, fractionated palm oil, molasses and salt. Or, think about parmesan cheese. A block of fresh parmesan cheese is, well, parmesan cheese made of milk, salt and some enzymes. But a container of “Grated Italian Style Topping” includes parmesan cheese, romano cheese, rice flour, vegetable shortening (made of partially hydrogenated soybean oil – a transfat made with genetically modified soybeans), corn flour, salt, powdered cellulose (wood pulp). While it’s true that organic regulations aren’t as strict as they once were, choosing organic food is the only way you can ensure you’re not consuming genetically modified organisms or food treated with pesticides. What has your real food journey been like? This post is copyrighted. As the intellectual property of Hilary Kimes Bernstein and Accidentally Green, llc, please feel free to share on social media or link, but do not repost more than a teaser of this article. 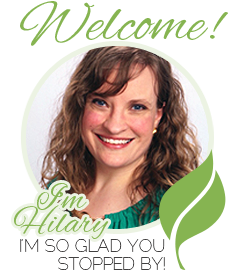 Hilary Kimes Bernstein is a Christ follower, wife, mama, and journalist. 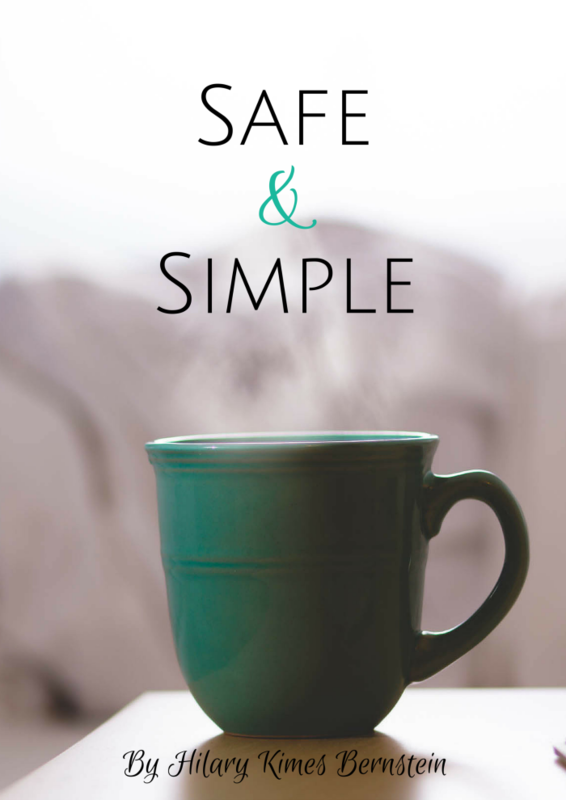 She writes about making healthy decisions that honor God and happen to help the environment at Accidentally Green. 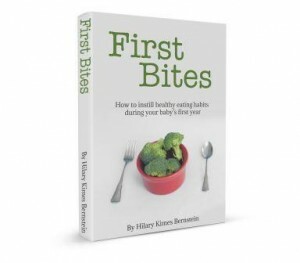 Short and sweet - like her writing - Hilary is the author of several healthy living eBooks. 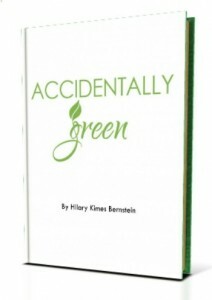 Get “The Accidentally Green Guide to Safe Cleaning” and e-mails from Hilary! Copyright © 2019 Accidentally Green. All Rights Reserved. Site by Moonsteam Design.